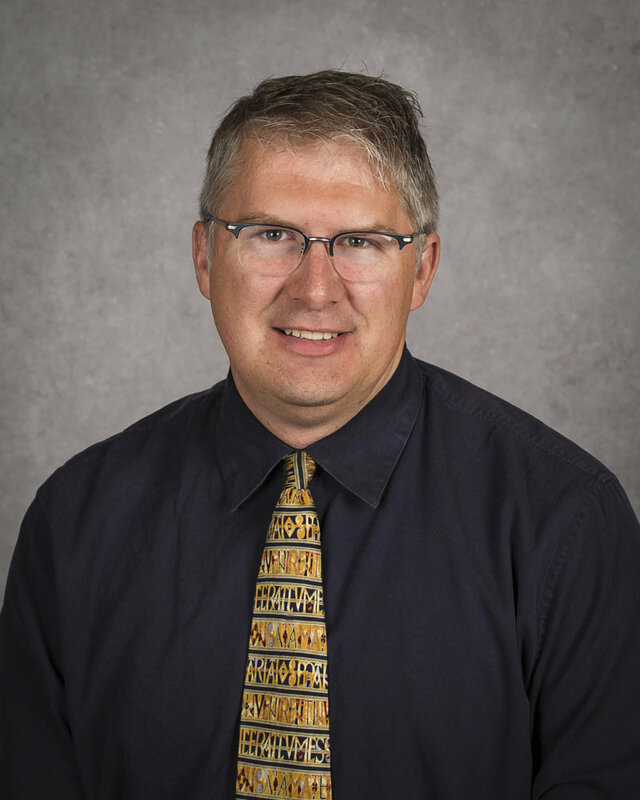 In recent months, we’ve offered a few posts here in our Scholar’s Forum having to do with the impact and opportunity of Petra Academy’s particular brand of classical Christian education. In January, we introduced you to Petra senior Valerie Lewis and the significant impact that her time at Petra has had on her life (Educational Freedom). In February, I recounted a conversation with a mom weary of the cultural tension she felt in sending her kids to a classical Christian school (Preaching What We Need to Hear). As we open up enrollment and finish the month of March, I’d like to combine an interesting 2017 study by the Barna Research Group (What Parents Look for in Christian Schools) with a few takeaways from Association of Classical and Christian School president, David Goodwin. Whether you’re a current or prospective Petra parent, I trust you’ll find yourself somewhere in the study. 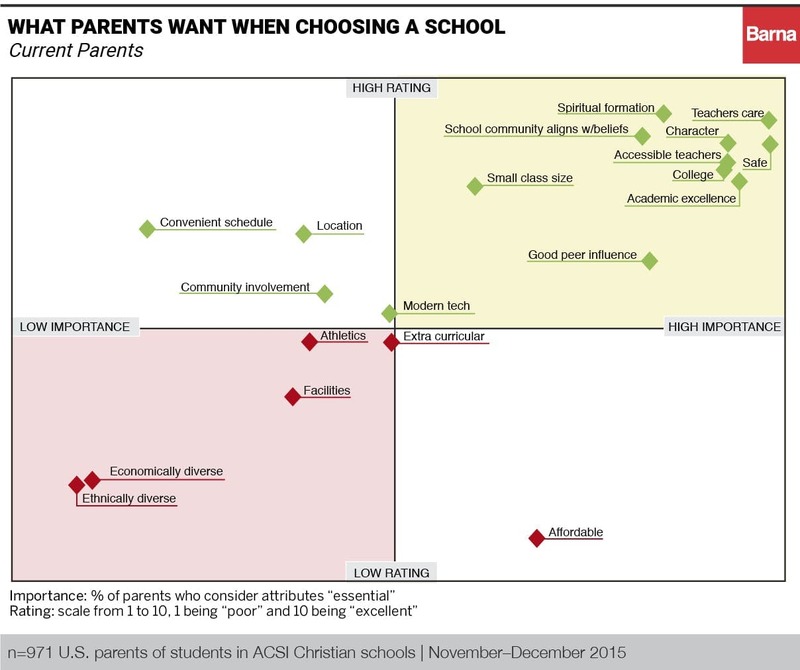 When it comes to what they consider to be the goals or ultimate purpose of education, parents of both current ACSI (Association of Christian Schools International) students and prospective students want more for their children than a list of accomplishments or path to wealth. 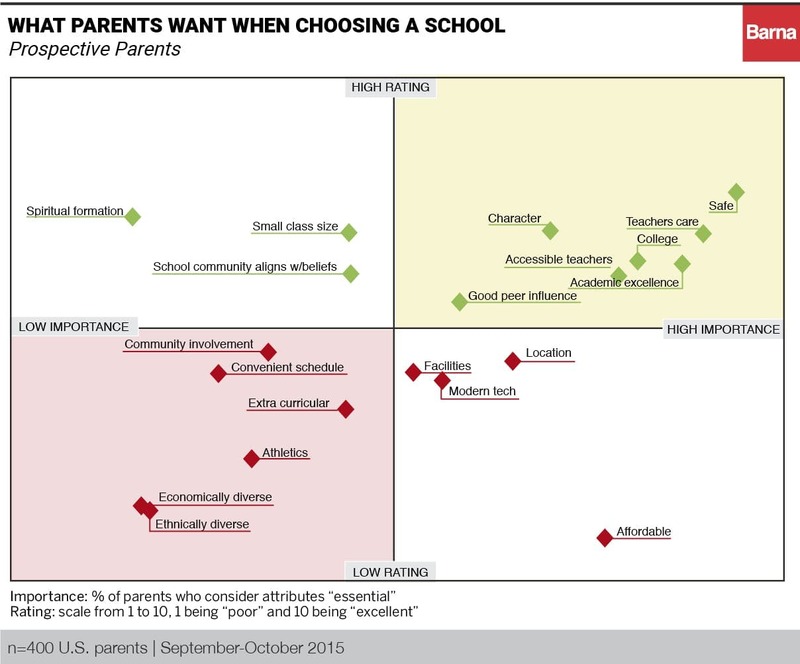 Parents clearly think of schools as meeting a complex range of student and family needs. Of course, that includes academic subjects. It also includes other ways of developing and nurturing children. 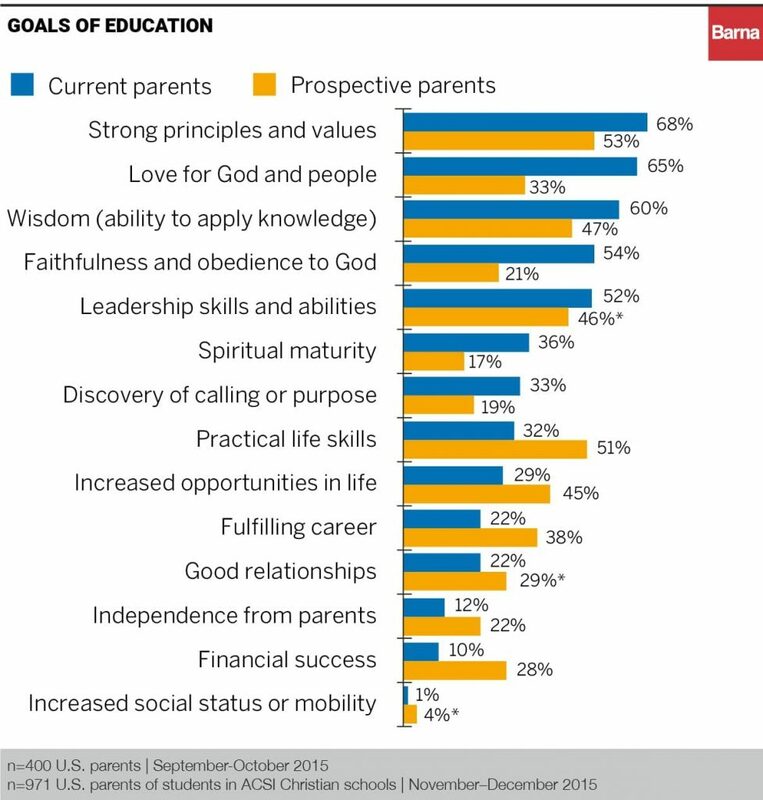 Prospective parents are more focused on objectives related to personal achievement and social skills like ‘practical life skills’ (51% compared to 31%), ‘increased opportunities in life’ (45% compared to 29%), and a ‘fulfilling career’ (38% compared to 22%). 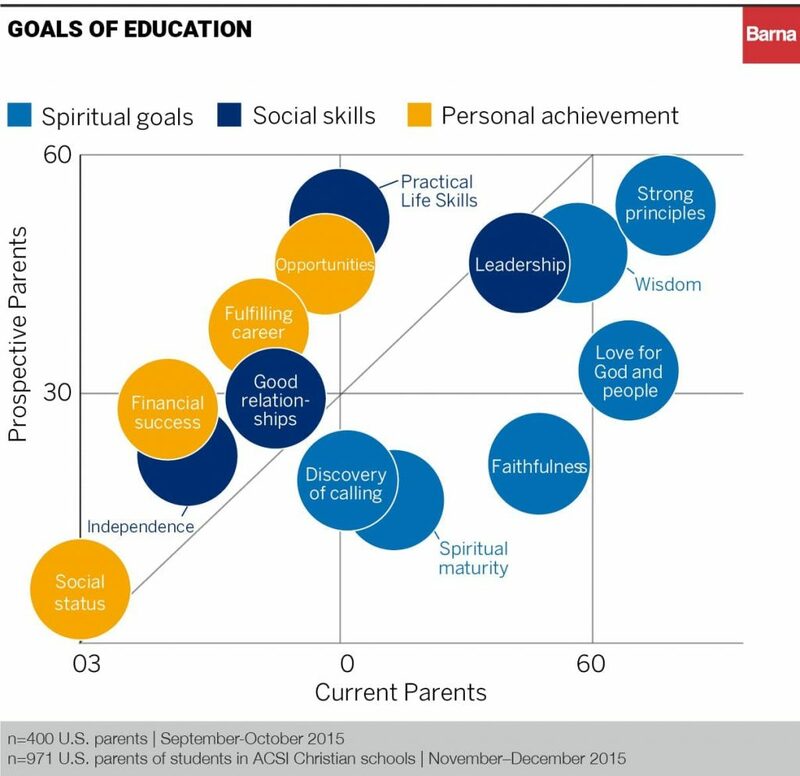 On the other hand, parents of current students place a higher priority on spiritual goals and a lower value on personal achievement…In addition to instilling strong principles and values, a majority of parents of current students place a high priority on five goals that include ‘love for God and other people’ (65% compared to 33%), the ‘ability to apply their knowledge’ (referred to as wisdom) (60% compared to 47%), ‘faithfulness and obedience to God’ (54% compared to 21%) and ‘leadership skills’ (52% compared to 46%). Most parents are looking for a school that aligns with their general ideas about education—what a school should do. However, parents’ specific priorities when it comes to choosing a school seem to reveal another side to what they value in an education—what a school should be like. Safety is at the top. This could be physical (building security). But, these days, it’s often the safety of their child’s feelings within the community…And genuine love cares for the souls of the students; it’s not simply a synonym for niceness. Parents can perceive the genuine love of a school as they interact with it. Regardless of whether you’re a current or prospective Petra parent, do these findings resonate with you? Are these some of the reasons you’re at Petra…or are thinking about being so? I’d love to hear your thoughts and interact with you if you’d care to email me. In my next post, I’ll share some revealing findings from a survey conducted among our 7th-12th graders just before Spring Break. I think you’ll find it encouraging from a student point of view. Sinners Saved by Grace or Saints Who Sin? © 2019 Petra Academy. All rights reserved.